Most families have a favorite recipe or two, handed down through generations. The Holloway women are a little different. Emma Holloway, like her grandmother before her, bakes wishes into her delicious cupcakes, granting the recipient comfort, sweet dreams, or any number of good things. It’s a strange gift, but it brings only happiness. Until gorgeous, smooth-talking newcomer Hunter Kane strolls into her shop, Fairy Cakes—and Emma makes the mistake of selling him not one, but threeSweet Success cupcakes. I really enjoyed reading this romance novel. There were so many things that I loved about this book, the characters, the small town setting, the heartwarming romance and obviously the cupcake magic. From the very first page, the author draws you into the world of Emma who is has a gift using which she can make magic cupcakes. I loved how the story progressed through hate then love, and in the middle some self realization, heartfelt talks and some magic. Don’t Call Me Cupcake was like every other love story but was still different, it holds some really nice surprises for the reader. The whole magic angle adds something different to an all too common enemies to lovers story. I just feel that this book could have been a bit shorter, because at some parts I felt it dragged on unnecessarily. But still Don’t Call Me Cupcake was a really nice read and I would love to recommend this book all romance readers out there. 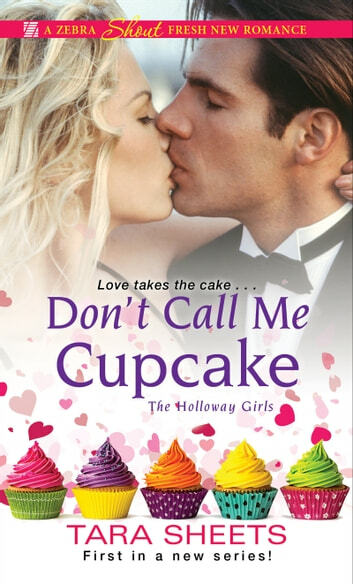 **Don’t Call Me Cupcake by Tara Sheets received via NetGalley in exchange for an honest review** Don't Call Me Cupcake (The Holloway Girls #1) is the first book I've read by aukthor Tara Sheets and I LOVED it! This book has it all including quirky, fun characters (Emma and Hunter), ,unique plot and hot steamy romance. Now if only I could get ahold of one of those magical cupcakes :) Can't wait for The Holloway Girls Book #2. Great romance with a shake of magic! I loved this book - not your ordinary romance novel - lots of magic and fun....a bit suspenseful as well but with a wonderful ending! I recommend it highly - a great fun read. Like the characters she creates, Sheets strives to spread happiness with her confectionery brand of sunshine. Don't Call Me Cupcake is an ideal introduction to an at times kooky, yet always light hearted series. A gesture of kindness sparks a professional rivalry and an irresistible romance. Tara Sheets' and her Holloway Girls will definitely put a little love in your heart, even as they tempt readers with sugary sweetness.